Wow, it has been such a crazy and busy week! I feel like I have barely had time to breathe with my work schedule and evening activities. Since I don't work until 11am today, I figured it would be the perfect time to post about a topic I have been wanting to post about for a while! This will be an review on two articles all about the greatness of avocados! Avocados have become so popular lately, so I thought I'd do some research on the specific health benefits researchers have associated with the consumption of this fruit! Yes, even though avocados are high in healthy fats (which we will get into later), they are actually botanically a fruit. Their widespread health benefits, and their effect on overall health, will be the focus of this review. The two articles I read are entitled: "A randomized 3x3 crossover study to evaluate the effect of Hass avocado intake on post-ingestive satiety, glucose and insulin levels, and subsequent energy intake in overweight adults." "Avocado consumption is associated with better diet quality and nutrient intake, and lower metabolic syndrome risk in US adults: results from the National Health and Nutrition Examination Survey (NHANES) 2001-2008." I was actually really excited when I found these articles because the first one was written by many of my former graduate school professors at Loma Linda University! This article focused on the satiety effects of avocados. Satiety is the feeling of fullness we experience after a meal. Some foods promote satiety, while others do not, and actually promote the opposite: overeating! Obviously, if we want to eat healthy amounts of foods, we want to pick foods that promote satiety and keep us full until our next meal. 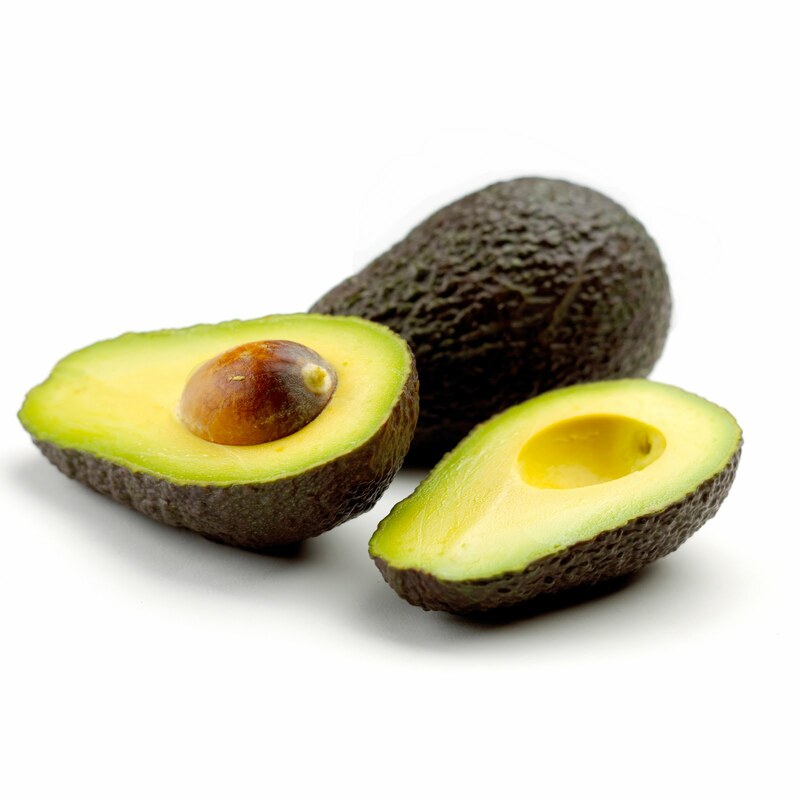 This study also measured the glucose and insulin effects of avocado, as well as its impact on over energy intake. All of these factors were measured in overweight individuals. What the researchers found is that, by adding half of an avocado to your lunch meal, meal satisfaction significantly increased by 23%, while the desire to eat or snack again over the course of 5 hours post lunch decreased significantly by 28%. When avocado was included in the meal (replacing the avocado for another food item), satiety increased significantly by 26%, while the desire to eat over the course of 5 hours post lunch decreased significantly by 40%. Eating the avocado portion at lunch also produced a more favorable blood glucose and insulin response compared to those who did not include or add avocado to their lunch meals. This study shows that eating even half of an avocado with your lunch, or replacing part of your lunch with this food, increases your satisfaction with your meal, and will keep you full for a LONG while afterwards! This is good news for you afternoon snackers out there, who are ready for some crackers or chips just a couple hours after lunch! Even though the avocado adds calories (about 115 calories in half of an avocado), the quality of and satisfaction with your lunch increases, leaving you full and energetic long after your lunch meal. Which brings me to my second article, which measured the diet quality and nutrient intake of avocado consumers, as well as participants' overall risk of metabolic syndrome. Compared to non-avocado consumers, this study found that diet quality was significantly higher in those who consumed avocados. These people had an increased intake of micronutrients from fruits and vegetables, and a decreased intake of foods with added sugars. Those who ate avocados had a higher total fat, fiber, vitamin E, magnesium, potassium, and vitamin K intake. They also tended to consume less carbohydrates, and have a lower body weight, BMI, and waist circumference than those who did not consume avocados. Yet another reason to include these delicious fruits in your diet! Even though those who ate avocados had a higher fat intake, they actually weighed less. These people also had a lower risk of developing metabolic syndrome, which includes a myriad of health problems including poor blood glucose control, high triglycerides, low protective HDL cholesterol, high blood pressure, and a large waist circumference. In addition to all of these health benefits, avocados are also high in monounsaturated fatty acids (or MUFAs), which have cardiovascular benefits and prevent the oxidation of small LDL particles. Oxidized LDL is a huge contributor to heart disease, which is the main reason why avocados promote heart health as well. Wow, how much more of a reason do we need to eat avocados? Not only do they taste creamy and delicious, they also provide a large host of health benefits. They are good for our bodies and our brains. Promoting satiety helps us focus on other things because, as we all know, when we are hungry, food is all we can think about! The satiety promoting factors in avocados are a great reason to include them in your breakfasts, lunches, or dinners. They are also good for our health and protective against heart disease. I recommend having 1/2-1 avocado per day, depending on your activity level and overall size. I also suggest replacing your usual nutrient poor foods, such as bread, rice, or pasta, with avocados, which are much more nutrient dense and have higher satiety signals and fullness cues than our other refined carbohydrate choices! Some ways to include avocados are with your eggs in the morning, with salads at lunch, or by making some guacamole to dip veggies in at dinner! So enjoy some avocado today and I hope you all have a great Wednesday!